If you are wondering where to buy koi fish For Sale philippines. It is easy to find nowadays you can google koi fish for sale philippines and you can see a list of koi fish seller like us Giobel Koi Center for example. 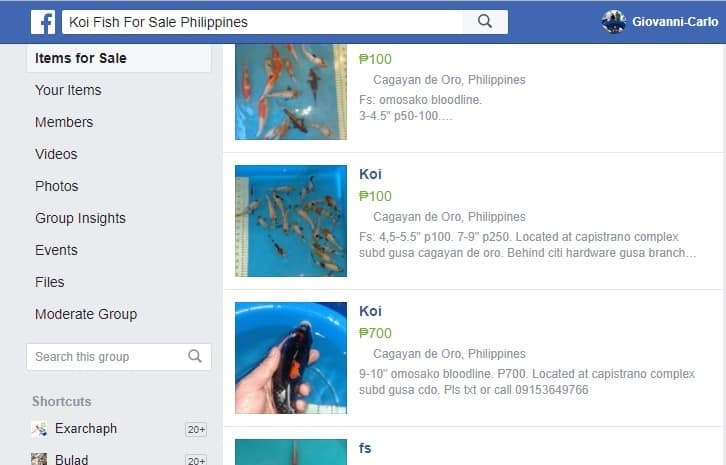 Here in the Philippines the popular koi fish market online is facebook groups. You can find hobbyists selling their koi fish in facebook groups. But you need to be careful in dealing with these koi fish dealer in philippines. You need to do your own homework. You need to do a little investigation of your own. There are a lot of bad scammers who also post koi fish for sale on facebook. So my advice is to check the seller facebook profile. If the seller account is new and using fake names then this is a warning already. The best way to find a good reputation seller is to check on their social media profiles like the facebook page and look for the customer’s review. If the seller have a good website with security this seller is serious on its business its not a fly by night seller and you are confident that you will not be scam. 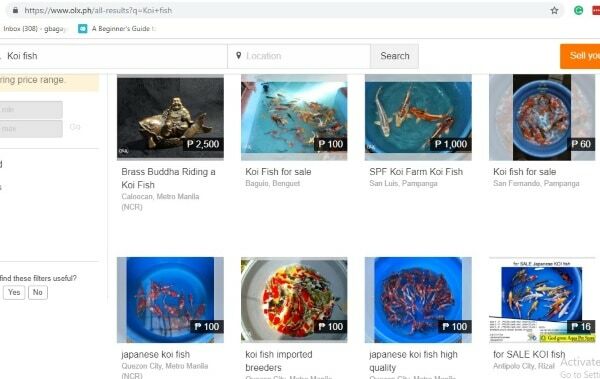 However, if you like to purchase koi fish dealer in philippines from facebook koi groups check the seller address and buy on sellers that near you so that you can visit his house. You can also find koi fish dealer in philippines posting their koi fish for sale at Olyx so same procedures only buy sellers that near your place so that you can visit his house. My advice to you if you want to buy koi fish for sale philippines Buy at Giobel Koi Center they are in the business since 2012. You can also visit aquarium store philippines near your place most of the aquarium stores sell koi fish too. You can also refer pricing from olx for koi fish pricing. I wonder how many Filipinos now are interested in keeping koi fish so I check on google trends and the graph is not bad at all since for the past 12 months there is a monthly interest sometimes high sometimes low but never zero. And now lets look on Facebook Audience insights since Filipinos are heavy facebook users and their are a lot of facebook groups and pages that sells koi fish. So, I am right most of the searches that are interested in koi fish here in the Philippines use facebook since the monthly active people who are into koi, koi pond and fish pond interest in facebook are about 200 to 250 thousand. So, my conclusion more and more Filipinos now are interested in koi fish keeping and I think it will be growing because of information now are easily spread through social media platforms like facebook, instagram, youtube and also google search. If you have any thoughts on my article about where to buy koi fish in the philippines and current koi fish trends in the philippines just leave in the comments below.